Sandra Nixon attended the 2012 tour as part of her Experience Travel Group holiday. What prompted you to book tickets to the tour? Sandra: [My husband and I] both thought Sri Lanka sounded lovely and exotic, so initially just searched for a Sri Lanka holiday when we stumbled across ETG. What made ETG stand out was the vast improvement in hotels compared to other sites. I asked Nick [ETG consultant] if there happened to be any cricket happening whilst we were out there. He told us that England were going to be touring, which was a dream come true – so Nick incorporated the Galle and Colombo tests into our itinerary! What was the highlight of this trip? Sandra: The general highlight of the trip was meeting like-minded people. I remember in Galle, we sat in the same area of the stadium every day with the same people, which meant that we were able to get to know them well. Do you have any advice for clients who are planning on going on the cricket tour this year? And finally, there are three tests in the upcoming series in Sri Lanka – what are your score predictions? Sandra: Gosh, you’re putting me on the spot here! Although the Ashes hasn’t given me much hope, I can see a lot of room for improvement, and therefore I’m going to go for 2-1 to England! For more information about Sri Lanka, why not download our free ? Had you been to Sri Lanka before the 2014 cricket tour? Nick: Yes, numerous times. One of those trips involved an earlier cricket tour in 2007, going to the Galle and Colombo test matches. I also went on the 2012 tour. How did those two tours compare to each other? Nick: The biggest difference was that in 2007, I was a poor student, and in 2012 I was doing it professionally. The level of accommodation and comfort was much higher. In 2007, I was sitting with the Barmy Army, whereas in 2012 we had a lot more space. What was your role in Sri Lanka for the cricket tour? Nick: I was working as a representative for ETG to help and support all our clients out there – meet and greet them, go for drinks, and generally make sure everything went smoothly. What was your highlight of the 2012 trip? Nick: The Galle test match. That setting and view. One of the days we were on the upper tier with the fort to the right of us, the bay out front, the sun baking down, cold beer in hand – it doesn’t really get much better than that. 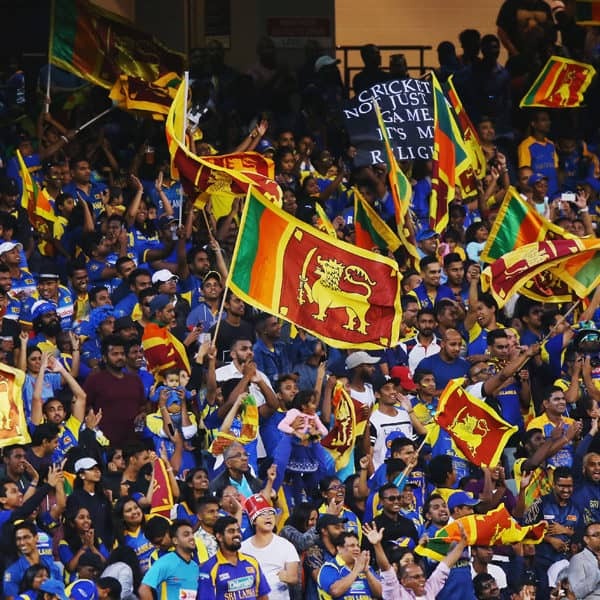 In your opinion, what makes Sri Lanka stand out as a cricketing destination? Nick: There’s so much. For one, their passion and knowledge. They also have a great admiration for England and the cricket fans. And it’s just very laidback – the weather’s great, the venues in Kandy and Galle are stunning, it’s nice and low key in the sense that you can sit on the grass – it doesn’t have that big stadium feel. Traditional cricket. The Test result was 1-1 in 2012 – what are your score predictions in October/November? Nick: Always a tricky one – with the Ashes as they have been, I don’t think any England fan can be too confident at the moment! That said, every time I’ve seen cricket in Sri Lanka, I’ve seen centuries from either Jayawardene or Sangakkara. Without those two, I think we’ve got a greater chance of getting those 20 wickets. So, I’m going for a 1-1 draw. Do you agree?! Take the quiz yourself and share with fellow cricket lovers.